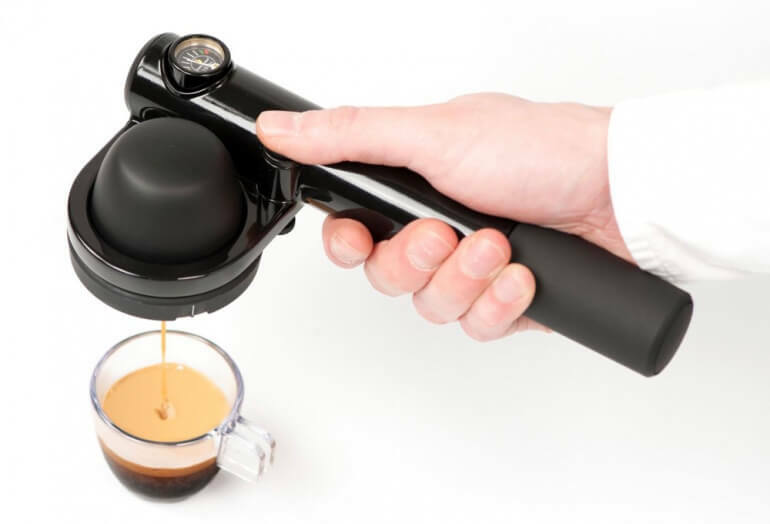 The hand-pump powered Handpresso gives you control over your espresso brew anywhere you might be. The Handpresso Wild Hybrid is a simply designed coffee maker that is perfect for those who are on-the-go. Add your coffee grounds or pods, hot water, pump and brew! The espresso maker has a small pressure gauge that allows for precise brewing and a delicious outcome. The pump is similar to what you would find on a traditional bicycle pump. 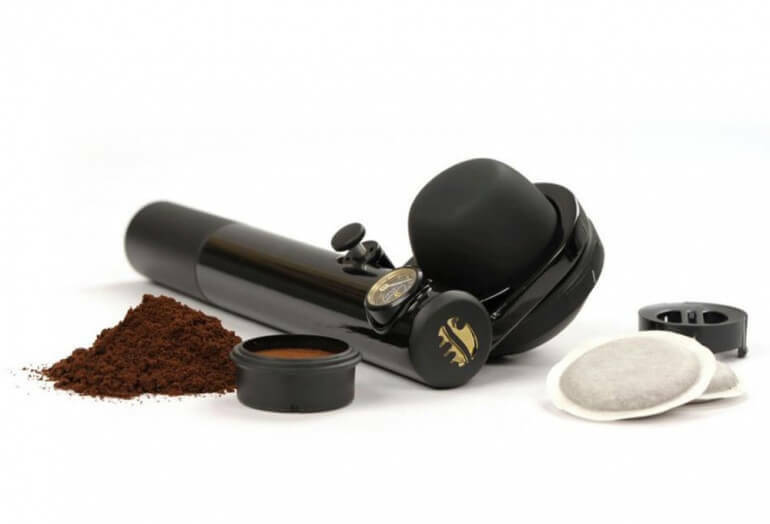 This is perfect for those who desire a low-tech, eco-friendly option for delicious espresso. The coffee maker comes in several color options and Handpresso offers many accessories including carrying cases, travel kits and more. If you like the idea of hand-pumped espresso, check out the Minipresso and if you want a powered version, see the Handpresso Auto.